Does an untrackable campaign sound scary to you? If you are in a marketing role, it should. Is there value to your social media efforts? Did your banner campaign drive any sales? Are you prioritizing your time towards what brings the company the most value? How can you be ready to give an answer to these questions? 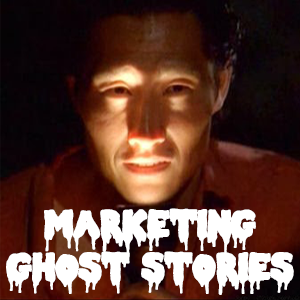 In honor of Halloween, I shall regale you with a marketing horror story. Grab a blanket and gather round the campfire and picture me holding a flashlight up to my face. Our tale revolves around a marketing campaign leading up to a tradeshow. We wanted to generate foot traffic at our booth, while securing leads for our sales team. We got together and brainstormed some ideas. We decided to center the campaign around a free content giveaway. We had produced an industry research piece that would be of great value to our clients. Now we just had to figure out how to build awareness for it. A multi-contact campaign was mounted. Each point of contact would include a voucher that could be redeemed for the research we were giving away. The day of the show arrived and the vouchers along with foot traffic came in droves. Prospects from everywhere were redeeming vouchers for their prized research. In addition we gave away more research to walk ups. We ended up giving away every copy we had brought to the show with us. Success!!!!. . .or was it? As we began to go through the mountain of vouchers, we realized we had no way of telling where the vouchers were generated from. We had made the mistake of using the same voucher for each point of contact. We also didn’t ask for contact information on the voucher or track any of the walk-ups. We had no way of delivering the leads generated and no way of telling if the campaign was successful or not. What a waste of time and effort. When you send out a multi-contact campaign, always provide yourself a way to segment the engagement or response. If you’re going to establish value for your efforts, you have to separate out your campaigns. Secondly, anytime you give away something of value, require contact information. If you don’t, there is no way to secure quality leads for your sales team. And if you aren’t driving sales, then what’s the point of any of it.